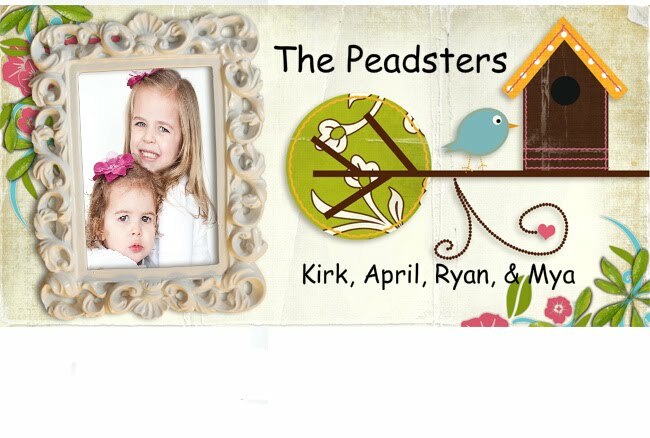 The Peadsters: What's in a Name? 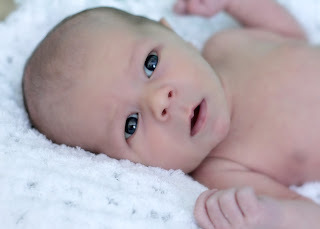 I think naming a child is one of the hardest decisions to make! I am not good at making decisions and always stress about it for a long time! So we decided to ask Ryan and Mya what they would like to name their little brother. So Ryan being silly would look at anything and say lets name him, "duck" or "pickle." She would get the biggest kick out of it! So Mya, not wanting to be out done by her sister, came up with a few names herself. Forever it was Fiona from Shrek. I had to explain to her that Fiona was a great name, just probably not a great one for a brother. Well one day we let the girls watch Bedtime Stories and they just laughed and loved it! The very next day we went somewhere and Mya got the usual question asked of what are we naming our baby. And out of the blue she replied "Skeeter Bronson!" Not just Skeeter, but the whole thing "Skeeter Bronson!" The lady looked at me surprised and Kirk and I just laughed! So from that point on his name was Skeeter to her! Dax Kirk Pead was born on March 9th and has been such a great baby! Mya was a little bummed that it wasn't Skeeter, but she loved Dax instantly! He has been such a great baby and its so fun to have a boy around this crazy house! I just worry for him in the future! Our girls have already wanted to paint his finger nails and dress him up! He is adorable! How fun to have a boy!